The only Avengers book I’ve been reading regularly since the end of Secret Wars is All-New All-Different Avengers. That is mostly because of the presence of Miles Morales. (I read Uncanny Avengers for about 5 minutes before Peter Parker/Spider-Man left the team.) And much like I mentioned in my Spider-Women Alpha review, I’m a sucker for crossovers, especially those that interrupt my regular monthly readings with tie-ins. As such, I’ve been reading the Avengers Standoff event. Some spoilers and thoughts on the latest chapter, Uncanny Avengers #8, after the break. To start, it would probably be a good idea for you to read All-New All-Different Avengers #7 before this issue. That issue shows the ANAD Avengers team and the Unity Squad on a collision course to Pleasant Hill. When the teams try to solve a problem like multiple Maria Hill’s, they end up as inhabitants of Pleasant Hill itself. This event kicked off with a great one shot that set the stage and explained what Pleasant Hill was and how the façade was falling apart. Long story short, S.H.I.E.L.D.’s Maria Hill claimed she shut down Project Kobik, but has secretly been using the power of a fragmented Cosmic Cube to alter the appearances and personalities of supervillains to keep them imprisoned in Pleasant Hill. But when the worst of the worst start regaining their memories and the ability to “wake” others, all hell breaks loose. Rogue is the main focus of this issue as we are shown a flashback to Charles Xavier teaching her to condition her mind to know when she has been the victim of a psychic attack and how to escape from it. After she “awakens” she spends the rest of the issue going around town “waking” the rest of the Avengers. But that fragmented Cosmic Cube that Maria Hill has been using to alter reality has evolved into a sentient being and taken the form of a little girl. Because, comics. This Cosmic Cube come to life under the name of Kobik is shown here and throughout the crossover as being very friendly, but also respectful of the orders she has been given. So when she finds all the Avengers with their memories intact, she declares it is time to put them back to sleep. Cue “To be continued in All-New All-Different Avengers #8“ plug. 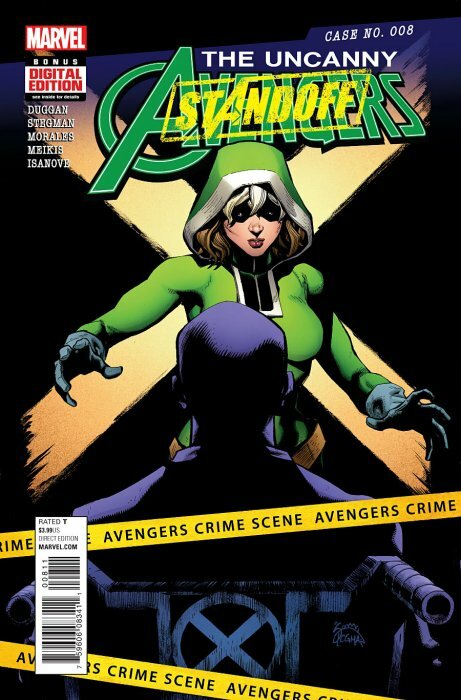 It’s actually a rather uneventful issue as the majority of it is just Rogue finding and waking up the other Avengers. One aspect I did find inconsistent was that the majority of the Avengers looked like, well, themselves in civilian clothing. If you’ve read the other parts of the crossover you’d know that the villains that were making their home in Pleasant Hill were unrecognisable. Even the member of the Howling Commandos that ended up their was disguised as a puppy instead of a giant rock monster. But here, Rogue looks like Rogue. Cable looks like Cable, complete with missing arm and eyepatch. Ms. Marvel looks like Ms. Marvel, etc. Avengers Standoff as a whole has been hit and miss. It seems like it was a good three to four issue Avengers run that got stretched out and turned into an event because that is what you do. There is sure to be major fallout from the series with Old Man Rogers being de-aged back to Captain America; the Winter Soldier taking over as leader of a new Thunderbolts team and one would assume some sort of repercussions for Maria Hill. 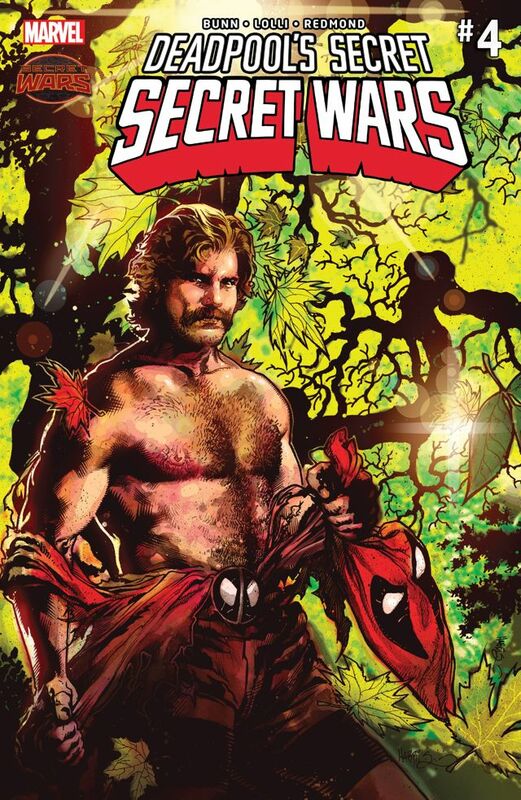 And there is still time and seven issues left to try to send this crossover out with a bang before Marvel takes what money you have left with Civil War 2. I read most of those Avengers titles already, so it wasn’t that big a deal to pick up the other issues. It’s like there are two plots there between the stuff at Pleasant Hill and whatever is going on between SHIELD and the New Avengers on AIM Island. They don’t connect well at this point. But there are these weird moments where I go “wait a minute,” like the last Captain America issue where Kobik de-aged Steve Rogers, but we saw the Red Skull was one of the prisoners…is this the same Red Skull the Uncanny Avengers are looking for with Chucky X’s brain grafted to his own? How’d SHIELD catch that guy?